At this time of year, we gardeners look out at the garden and wonder if we'll ever get things in shape again. In fact, it seems to be early here in our little 6b zone in PA.
Those plants are waiting to help you. Many of them are delicious edibles, and all of them offer vast quantities of vitamins, minerals, and beneficial properties. Here's a very short intro. You CAN learn to love them. Chickweed has many uses. It is extremely nutritious, full of vitamins and minerals, and can be added to soups, stews, egg dishes, and salads. It makes a fabulous pesto! It is best used fresh, but grows constantly throughout the year in most regions. I can usually find it beneath the snow if I look in protected areas under trees and shrubs, or against buildings. 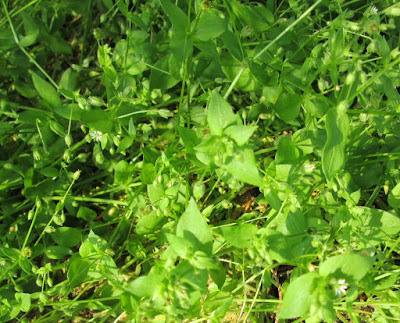 Many herbalists suggest chickweed for weight loss. It contains saponins, which may help to bind fats and remove them from the body. Gail Faith Edwards wrote, “Chickweed has great healing, cooling, drawing, and dissolving abilities. Try it when you want to bring a boil or pimple to a head, dry up herpes blisters, clean up an infected wound, or extract a splinter. 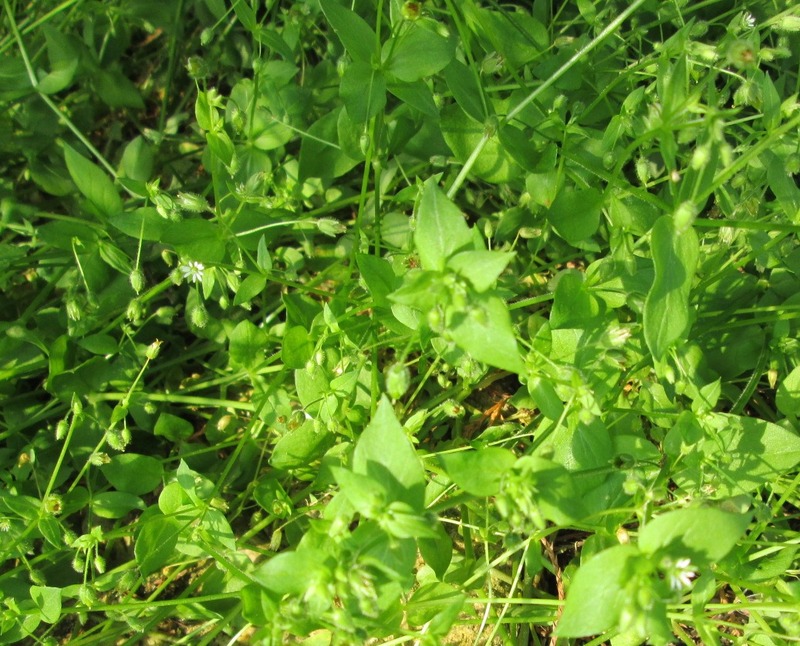 Applied as a poultice, chickweed stops infection by weakening bacteria cell walls." This clingy, leggy springtime weed has a lot to offer! It can help clear the lymph system, and we have lymph nodes all over our bodies. It is a diuretic and helps with bladder, liver, and kidney issues, in turn helping with skin issues that result from an overworked liver. 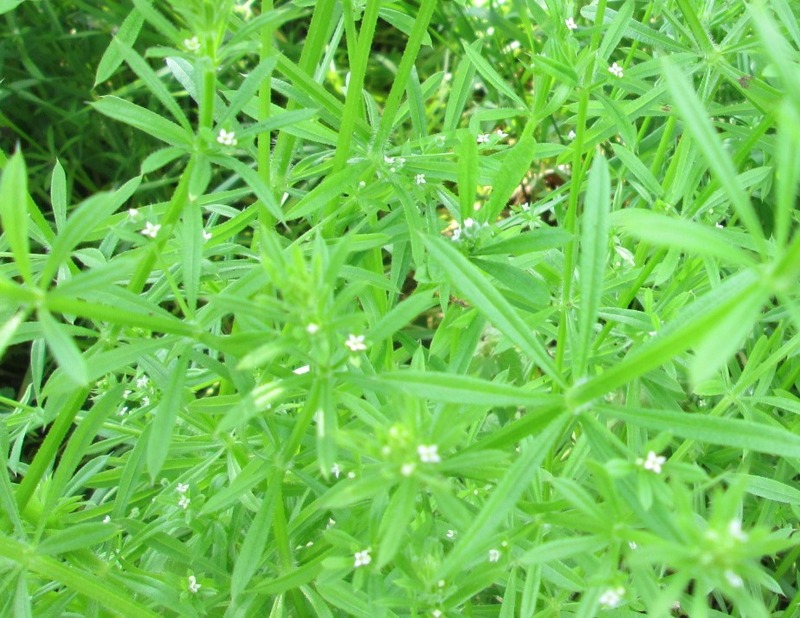 In fact, most of what I've learned is that cleavers is the "spring cleaner" of the body. Don't overlook this weed. It is best used fresh, so it is commonly tinctured or juiced. The roots are used to purify blood, cleanse & detoxify the liver, improve digestion and many other conditions. The whole plant contains high amounts of vitamins and minerals. The flowers are infused in oil to use externally on aches and pains, and the yellow rays are used in wine, jelly, and baked goods. The leaves are an excellent diuretic that does not pull potassium from the body. There is a real theme here, isn't there? In the early spring, the plants help us to get rid of the sludge that we've built up over the winter! I haven't seen a lot of health benefits attributed to this weed yet, but there are an infinite number of recipes out there on the web with a simple search. Let's face it, pesto makes a LOT of sense with this one! And it is everywhere. This delicious green has a mild garlic flavor. It is chock full of good stuff, including minerals galore, like potassium, calcium, selenium, magnesium, copper, iron and manganese. Vitamins A and C are in there, and it is one of those precious plant sources of omega-3 fatty acids. The roots can be processed and used very similarly to horseradish. As they say... If you can't beat it, eat it! Ahhh... I daydream about the nettles towards the end of February. This emerald beauty, though tricky to harvest, has something about it so that when you eat it, you can sense that you have been nourished in a very profound way. It is one of the herbs that work as a "nourishing infusion" but I like to steam it, add butter, and eat it. We tincture it particularly to help with spring allergies (and are thankful that it shows up right on time), and dry it for teas. There are packages of whole leaves in the freezer for meals later in the year. 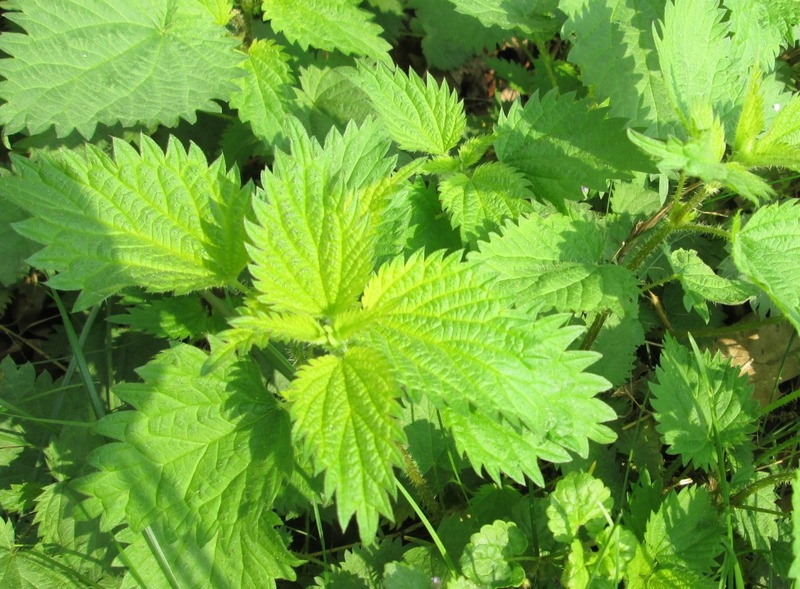 According to herbalist Susan Evans, "Nettle is very high in iron, magnesium, calcium, vitamin B complex, A, C, K and chlorophyll. I use it in most of my teas and elixirs; it’s just so darn good for you. It has been used for chronic urinary infections and bladder problems, joint pain, to nourish the nervous system, support bones, relieve exhausted adrenals, lower blood pressure, give you a full, healthy head of hair, and for seasonal allergies. The roots are used to relieve symptoms of benign prostate hyperplasia." In early spring, add some leaves of plantain to your salads, soups, or potherbs. It is high in calcium, magnesium, sodium, phosphorous, zinc, copper and cobalt and vitamins A, C, and K. It soothes the entire intestinal tract with the mucilage it contains. 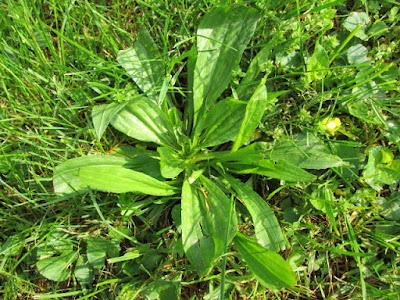 Kristine Brown writes, "Medicinally, Plantain is alterative, antibacterial, anti-inflammatory, antiseptic, anthelmintic, antivenomous, astringent, expectorant, decongestant, demulcent, deobstruent, depurative, diuretic, expectorant, febrifuge, hemostatic, kidney tonic, ophthalmic, mucilaginous, refrigerant, restorative and vulnerary." 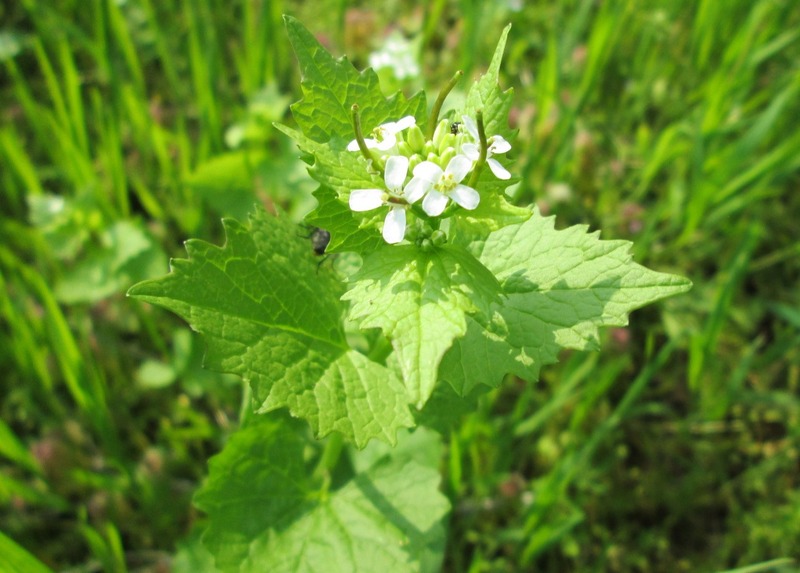 We use it constantly for stings from bees, spiders, and bugs, or for plant rashes (like when we're harvesting nettle). Our local wild raspberries are black raspberries. 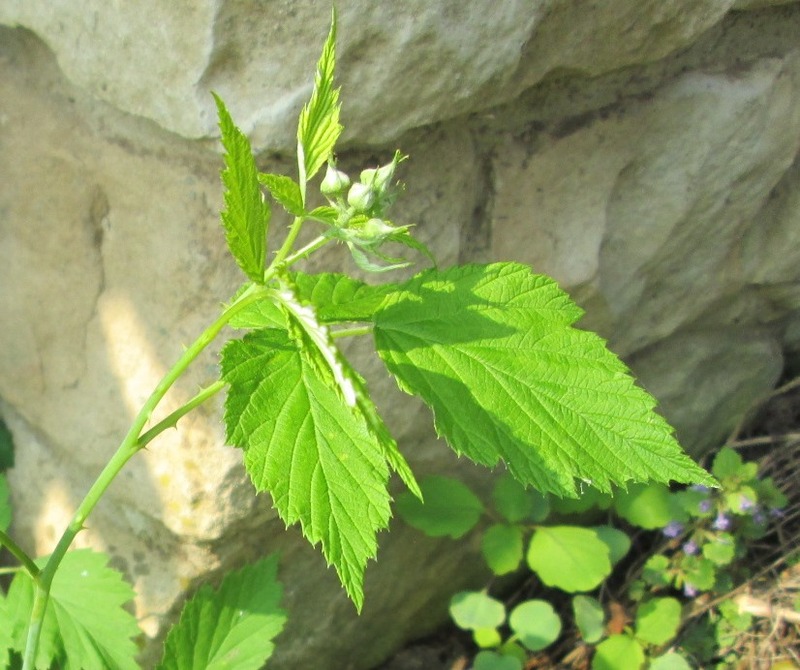 The leaves make a delicious herbal tea AND they have pretty much the same benefits that we've learned apply to red raspberries - such as being a tonic for the female reproductive system, a cooling herb for hot weather, and for relieving stomach pain. It's been used for mouth sores and gum issues, too. Lots of magnesium, potassium, iron, and B vitamins! That's a good start, isn't it? 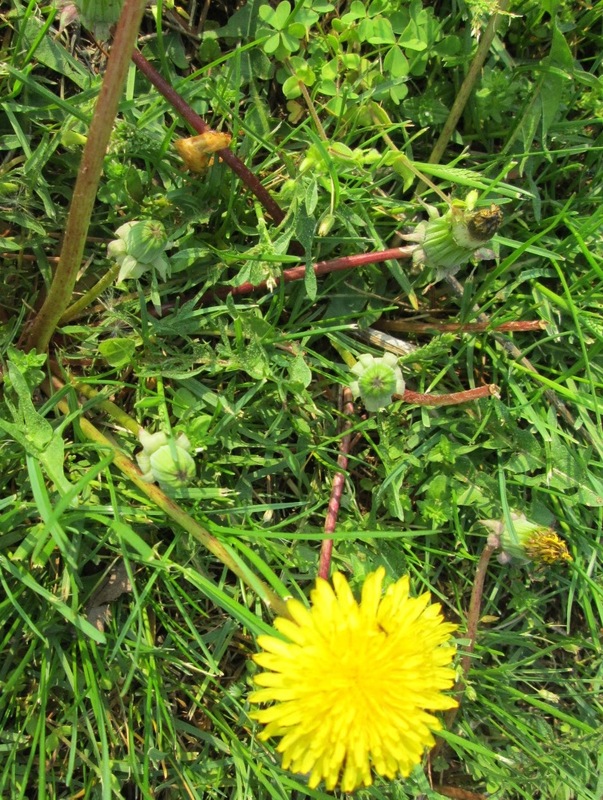 As the days go on, there will be more and different weeds coming to help us. In fact, if you look at the right hand corner of the raspberry picture above, you'll see jewelweed starting to put out true leaves. Our helpers and allies are everywhere. I LOVE my weeds. I keep telling friends that they should be eating them rather than pulling and throwing them away.. Thanks for a great article!